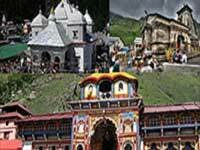 Special chardham yatra packages economical package with option to choose chardham yatra package, Teen Dham yatra packages, do dham yatra packages as well as ek dham yatra packages. The Holy Himalayas up in the misty heights of the majestic Garhwal Himalayas that adorn the magnificent state of Uttarakhand awaits a rejuvenating spiritual experience for the devout. 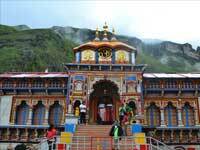 These four abodes are located in Himalayas namely Badrinath, Kedarnath, Gangotri, and Yamunotri. The Char Dham (Chardham) yatra or journey starts in the month of April when the snow in the Himalayas melt which is the source of the water that feeds the four holy rivers namely Yamuna (at Yamunotri), the Ganges (at Gangotri), the Mandakini (at Kedarnath), and the Alaknanda (at Badrinath). If the scriptures of HINDU RELIGION are to be believed, the holy centers of Gangotri, Yamunotri, Badrinath Tour Packages 2019 and Kedarnath Yatra Tour Packages 2019 – collectively called the Chardham yatra 2019 (meaning four sacred spots) – are the most sacred of all pilgrimages. The best time to visit the Char Dhams is between May and June also known as the peak period. But it can be visited any time between the months of April and November. The monsoons are not the best times as long uphill treks and walk on the banks of the rivers can be dangerous. Although visits to the Chardhams can be arranged individually, trips can also be arranged by tour operators. Undertaking a journey to these places will not just wash away one’s sins but ensure release from the cycle of birth and death.THE honor conferred on these places is not surprising. For one, they are all in the icy Garhwal ranges and regarded as the most sacred of all Himalayan ranges. It is also said that heaven and earth converge in these holy spots, and to be born or die here is a boon only the very fortunate have. The Chardham Tour 2019 must be visited from left to right -beginning with Yamunotri Pilgrimage Tour Packages 2019, Ek Dham Tour Packages, Do Dham Tour Packages, Chardham yatra packages 2018, going on to Gangotri, Kedarnath Chardham and culminating the journey at Badrinath. 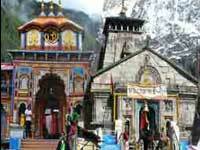 This route follows the Hindu tradition of parikrama or clockwise circumlocution.